Edgewater Neighborhood Garage Sale Reviewed by Edgeville Buzz on May 21, 2011 . Registrations must be received no later than 5:00 PM, Tuesday, May 31, 2011 if you wish to be listed on the 2011 Garage Sale map. Garage Sale permits & maps will be distributed to each participating sales location the morning of the garage sale. A VALID CITY OF CHICAGO PERMIT IS REQUIRED TO PARTICIPATE. 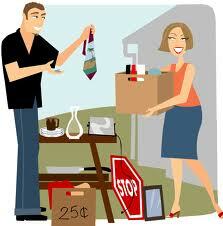 BARGE, EGA, ENN, and EPIC block clubs are participating in the 2011 Edgewater Garage Sale. 20% of all net proceeds from the 2011 Edgewater Garage Sale will be donated to Care for Real, Edgewater’s food and clothing pantry.